Indeed Paul Gauguin posed for a photograph taken by artist Alphonse Mucha in his studio, circa 1895. While little is known of the moment, it seems quite human to apply that paint brush of whimsy to the moving canvas of life, for which a photograph captures but a instance. The whimsy suggested a wrong note piece, in which at first the right hand plays white notes and the left the black notes. 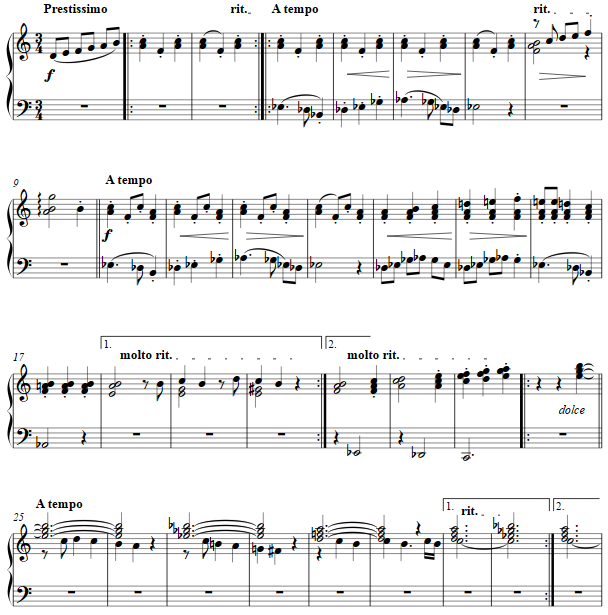 After a center section, the white and black reverse for a moment, and the whole ends with a simple, popular-styled cadence.